including Cat Got Your Tongue? What newly married couple doesn't dream of a romantic retreat where they can escape the world for a while—but what happens when supernatural forces intrude on their wedded bliss? Nine of today’s hottest paranormal authors answer that question in this all-star collection of supernatural stories. 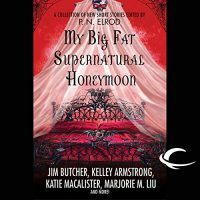 Can a vampire-hunter enjoy her honeymoon when she’s just learned that her new hubby is a werewolf? How can newlyweds focus on their wedding night when their honeymoon suite is haunted by feuding ghosts? And what’s a wizard to do when a gruesome monster kidnaps the bride on her way home from the wedding? With so much otherworldly mayhem awaiting our newlyweds, will they ever get around to the honeymoon itself? 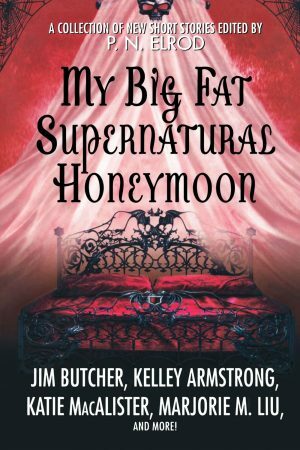 Find out in…My Big Fat Supernatural Honeymoon. Cat Got Your Tongue? is a tale of what follows Raphael St. John and Joy Randall’s happily-ever-after. Fans of the Dark Ones have often wondered about Raphael’s amber eyes and his skittishness around members of the Otherworld. Could there be more to him than meets the eye? Something not strictly human?